Travel is kind of funny. When you leave home at first, you never really know what you’re going to miss. Sure, you tell yourself all the things you’ll miss. For me, I was sure I was going to miss my sports. 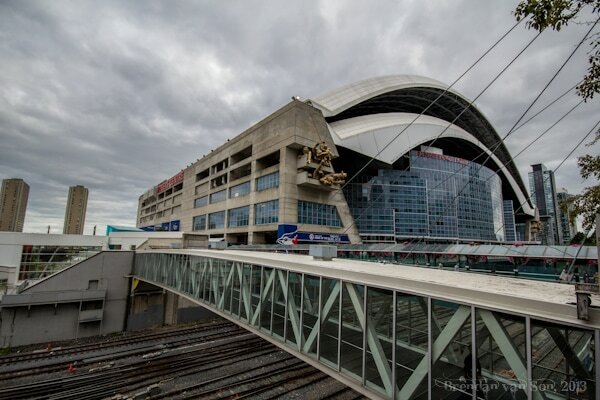 I was a massive sports fan growing up, and remained that way until the day I left Canada to become a travel writer. When I left Canada, the sport viewing quickly fell by the wayside. It started with hockey, to the shame of my Canadian senses. Within a couple months I had no idea what the standings looked like, nor did I care. The lack of hockey news in South America made it easy to forget. Basketball was more resilient. It was the love of my life throughout high school and college. I played nearly everyday, and watched games just as often. In fact, a freshman version of myself might have told you I’d eventually end up being a basketball coach. In South America, I would sit watching games on terrible internet connections, and never lost touch of the sport. It wasn’t 2 years into my travels that I started to forget about basketball. Last year, I didn’t watch a single game. To my surprise, it was baseball that held strongest. Against all odds, baseball is really the only sport that I still manage to keep up on a weekly basis. Maybe the fact that there is a game nearly everyday keeps my ADHD mind entertained, but I think it’s the fact that it’s such a statistical sport that allows me to analyse the games without even watching. Whatever it is, baseball has endured the test of time and travel. Thus, you can imagine my excitement when getting tickets for a Bluejays game (my team since I can remember) against the hated Boston Red Sox. 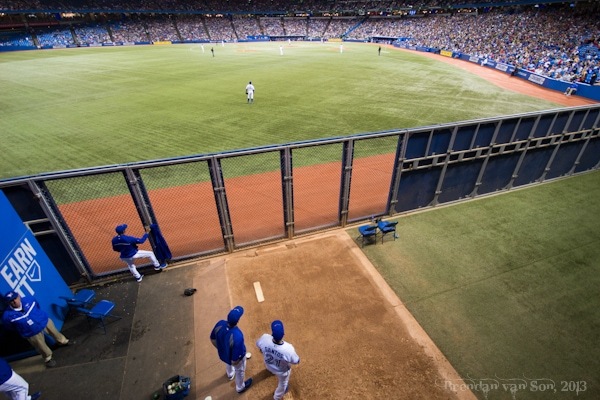 I grabbed seats directly over the Bluejays bullpen in homerun territory. In batting practice, balls sailed over my head, to my left, and right in front of me. I knew that if a homer was hit, there was a good chance it would be in my direction. As the game started, we stood and sung “Oh Canada!” and I think it was the first time that song ever brought a tear to my eye. I’ve been away for so long, that hearing that song and all my fellow Canadians singing along was more emotional that I thought it might be. I’m home, and maybe it took hearing that song to realize it. It made me remember how important it is to me: being Canadian. The game was a bit of a pitcher’s duel, and few balls left the infield let alone flew out of the park. And as I watched people scramble desperately for foul balls I couldn’t help but think “psh, it’s just a ball.” I thought to myself that if a ball were to fall in my lap, I’d probably just hand it off to someone else near me. I don’t need a ball to remember the experience. 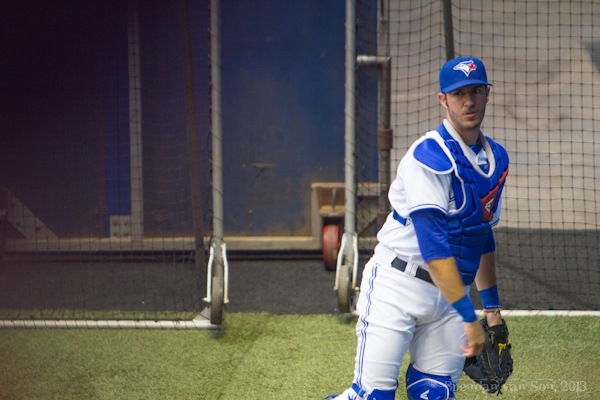 But then, in the 7th ot 8th inning JP Arencibia hit a ball right on the money. As someone who played center field in extensive beer-league baseball, I knew the ball was hit almost directly at me as soon as he made contact. As the ball travelled towards me, all the thoughts of “‘psh, it’s just a ball” were nowhere to be found. I drifted to the right as the ball began to hook slightly away from me. Not caring that I wasn’t wearing a glove, I reached up and out with my right hand, as 3k worth of camera gear hung from my neck. At impact, I jumped slightly but the ball glanced off of the outside of my hand. Had I been wearing a glove, I would have caught that ball, and I would have not given it up to someone sitting nearby. On the train ride home, I loaded the video of the homerun on my phone. I laughed as I watched myself and the reaction on my face as the ball shot past. I also came to the realization why baseball has such a hold on people. At the game, you can become a part of any play on the field. There is no other sport that the fans cheer as much for other fans as they do the game itself. I’m not sure that there’s a sport on the planet that fans are made feel as much a part of the game. I guess that’s my feeling about living your dreams, and travel. 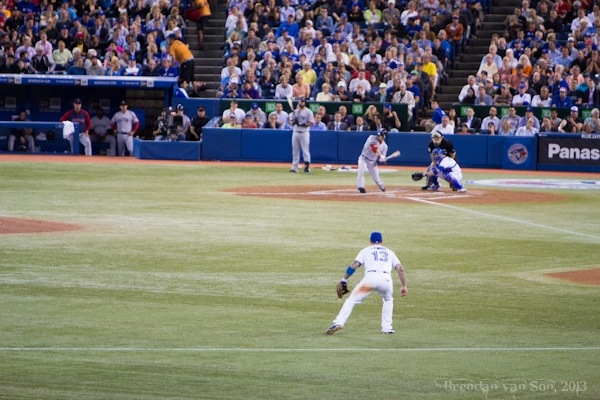 In travel, you can become a part of the game like a fan at baseball. You can either sit idly by and watch others explore and take chances, or you can kick up your feet and get involved. And whether you’re the type that floats around trying to catch a fly ball, or the guy that takes his clothes off and streaks the Skydome, being a part of the game, rather than just watching, is what makes life special.